Germany Bundesliga club, Borussia Dortmund, will be a surprise contender for major honours at the Jean Pierre Complex in Port of Spain today if Javon “Slick” Charles’ form holds in the 2015 Trinidad and Tobago Interactive Football Cup (TTIFC) Grand Finale, which kicks off at 9 am. 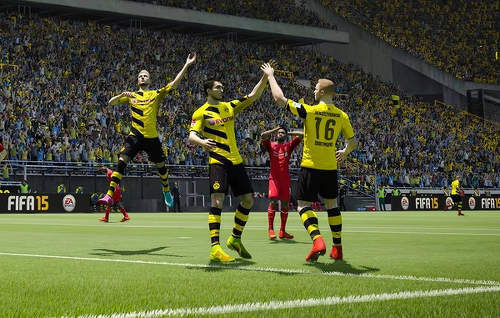 Photo: Borussia Dortmund players celebrate during a FIFA 15 game. On Saturday June 13, Charles topped a group of just over a dozen FIFA 2015 pyongs at the same venue, which included beaten finalist Damani Garcia and defeated semi-finalists Myles Matthew and Bevon Julien. All four men will be at the Jean Pierre today to represent the North Zone against qualifiers from the other four regions: East, Central, South and Tobago. At stake is the top prize of two return tickets to any Jet Blue non-stop destination, US$500 spending money, a TT$1000 voucher courtesy Sa’ Lounge clothing store, two replica 2015/16 football jerseys courtesy ManiJade Imports and, of course, a massive trophy. In the North Zone finals, even before TTIFC Co-ordinator Carlon Garcia gathered the 13 eager gamers together to unveil the day’s brackets, “Slick’s” name was on everybody’s lips. Nobody expected anybody else to be able to match him, let alone beat him. The eight or nine serious-faced guys strutting around the Complex before things got under way all seemed to eat, breathe and dream FIFA. All were quite familiar with one another and the curious looks they gave me suggested that they were worried that I might threaten their chances of challenging “Slick” for the TT$500 top prize on offer for the day’s winner. Photo: The Trinidad and Tobago Interactive Football Cup (TTIFC) North Zone battleground at the Jean Pierre Complex in Port of Spain. Ha! Just an occasional FIFA player myself—I play about twice a year—I had no illusions about my own prowess or my real chances. I had registered for the tournament merely for the fun of it and I was hopeful that I could maybe benefit from a fluke or something to get past the first round. Garcia gave me hope—and a bligh—with a first-round bye. I was one of three competitors automatically moving on to the second round. The moans and groans didn’t mean that I was suddenly striking fear into the hearts of these hardened gamers; no, they were merely a reaction to the fact that a couple heavy-hitters found themselves paired off against each other. “Slick” Charles made it clear why he was such a favourite, easing past his friend and rival Julien, son of former West Indies all-rounder, no less. The arrangements meant that one loss didn’t put you out of the running although it did obviously put you on the skids. But Julien made up for his early defeat by punishing an unsuspecting victim a little later. The pre-tournament big talkers were being quieted while their more soft-spoken opponents were beginning to flex their muscles. When my time came to face the music, Myles Matthew, my opponent, looked like a pretty good player so I put up my white flag early ‘o’ clock. 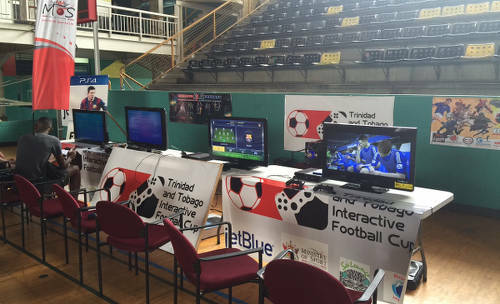 Photo: Gamers do battle in the Trinidad and Tobago Interactive Football Cup. Matthew was contemptuous, declaring that the last time an opponent “surrendered” before the match, it was he (Myles) and not the opponent who found himself on the losing end. But he went easy on me and, at the end of the 12-minute contest, Myles’ mighty Bayern Munich had scored only once against my beloved Manchester United. Having forgotten to raise my white flag in surrender at the outset of my second outing, I found myself on the wrong end of a fair old thumping. My opponent Julien’s silky Real Madrid put five of the very best past me, almost before I knew what was happening. 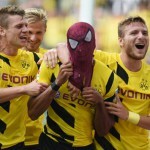 The atmosphere inside the complex was as tense as the one in last week’s Champions League Final and, among the real gamers, Champions League victors Barcelona was one of the favoured teams on the day. But 15-year-old Garcia (D) was making his own noise with Barca’s nemesis Real Madrid and, like “Slick,” whose team of choice was the fast-paced Borussia Dortmund, he too was easing past his rivals. With just “Slick” Charles, Julien, Garcia and Matthew still in the fray at around 3pm after some three hours of intense gaming, Charles was the only one still without a defeat against his name. Garcia defeated Julien in a must-win match to set up a semi-final with Matthew. 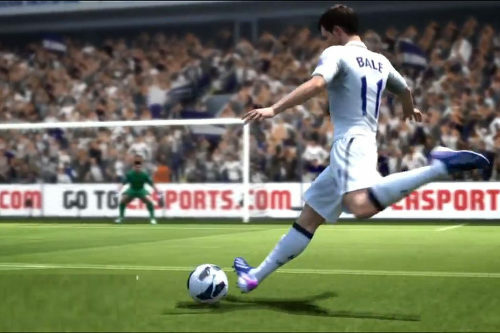 Photo: Real Madrid’s Gareth Bale takes aim during a virtual football match. Even before Garcia had one of his players sent off, the smart money was on Matthew to meet Charles in the final. Garcia, however, is nothing if not a fighter and he contrived to steer his Madrid team to victory. In the final, Charles was playing with house money as only consecutive losses to Garcia would see him relinquish top honours on the day. Garcia opted unsurprisingly for Real Madrid while Charles stuck with the all-action Dortmund outfit, whose frontline’s speed eventually worked in his favour especially after Garcia had one of his players sent off for the second straight game. Striker Ciro Immobile, who hasn’t been doing the business for his side in recent times, did the virtual honours for Charles, giving him a slim 1-0 extra-time win over his feisty opponent. 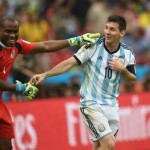 Garcia called on all FIFA 15 gamers throughout the country to come out and test their mettle. “I used to play with my son (Damani) at home,” the elder Garcia told Wired868, “and when I heard about tournaments being held, we started going together, which helped us to bond a bit. 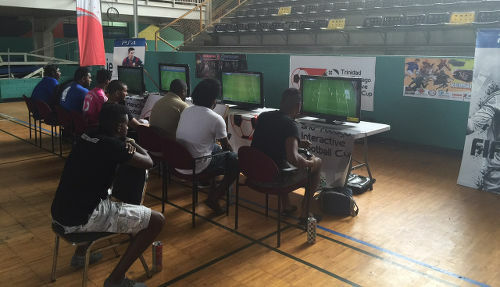 Then I heard about the FIWC (FIFA Interactive World Cup) and I decided to try it in Trinidad. 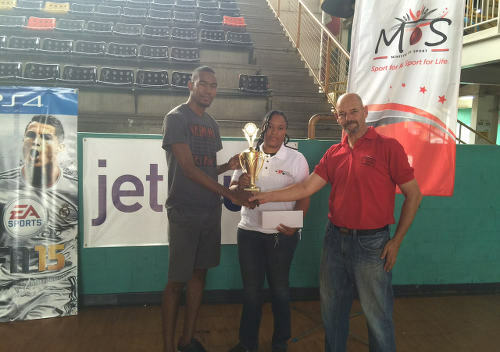 Photo: Trinidad and Tobago Interactive Football Cup finalist Javon “Slick” Charles (left) collects his North Zone trophy from Sport Ministry official Kevin Harrison (right) and another staff member. Tournament winner Charles and Kevin Harrison, Advisor to the Minister of Sport, both gave the thumbs-up to the TTIFC initiative, which is sponsored by the Sports Ministry, ManiJade Imports, Sa ’Lounge Fashion, Fundango Family Fun Centre, Chrono Fantasy, Jet Blue and Rose IT. There was more than pride at stake at the Jean Pierre, though as Charles beat his rivals to the TT$5,000 first prize. And there will be considerably more booty up for grabs today as Jet Blue, Sa ’Lounge clothing store and ManiJade Imports put their goodies on the line. “Slick” thinks it is his to lose. 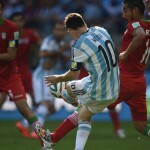 2014 World Cup: The stars, wanna-bes and flops!